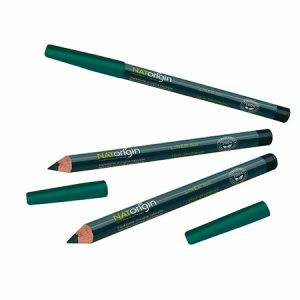 NATorigin is the BEST Eye Liner – official! 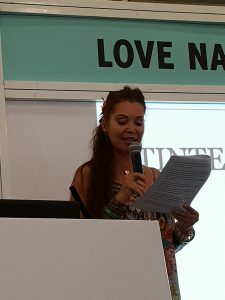 On Friday at Olympia, London I was thrilled to be presented with the Best Eye Liner Award at the Natural Health International Beauty Awards. 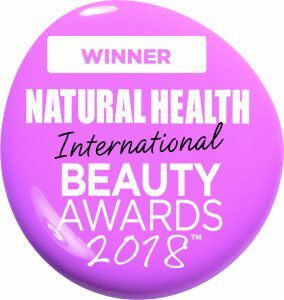 Every year the very best in holistic and complementary beauty are celebrated with the Natural Health International Beauty Awards. 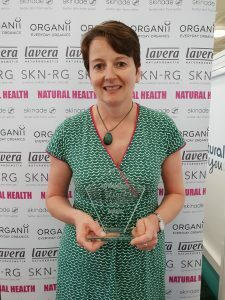 Their expert panel of judges test out a wide variety of products – from cleansers and eye creams to foundations and nail polishes – and announce the results so their readers can make informed choices when buying natural products. Over the past 7 years, NATorigin has won a variety of the categories and these awards do mean a lot, as they reassure potential customers of the quality of my cosmetics. Rich in natural oils and waxes, our supersoft pencil eye liners are worthy winners of this award and it was presented to me by Jayney Goddard, (below left) President of The Complementary Medical Association (The CMA) which is the world’s largest professional membership body for complementary medicine (CM), and she is widely regarded as one of the leading experts on complementary medicine and natural healthcare. 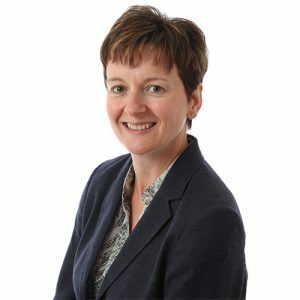 She has a Master of Science post-graduate degree from the University of Central Lancashire. 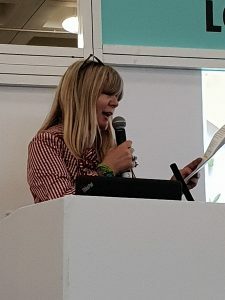 Also judging the awards were Janey Lee Grace (above right), Jo Wood and Glynis Barber (top right) – all experts in the natural health arena and passionate about improving our health and lives. All four of these ladies really support and personally use the smaller, niche brands including NATorigin and fly the flag for natural beauty. 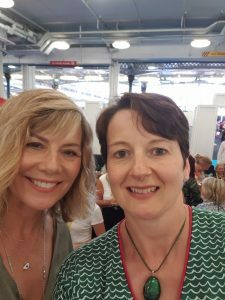 It was lovely to thank them in person and to catch up with Jayney who has recently finished her latest book, Janey who is busy collating her awards for the Go Organic festival in September and Glynis who I was interested to find to chat about her new eating plan – The In-Sync Diet. Thank you again ladies for taking the time to support, test and present the Natural Health International Beauty Awards and our brands! NATorigin sponsors The Free From Skincare Awards 2018 for the 7th year! In the post……Platinum Award Entries…..your vote counts! NATorigin Wins An Amazing FIVE Green Parent Natural Beauty Awards! Can eye cosmetics be anti-inflammatory?